As a parkland day-care invested in the best interests of your child, we at Parkland Children’s Academy are here to provide you with some important tips and tools on childcare. Together with a Parkland day-care such as Parkland Children’s Academy you will have the best tools around to aid you in your child’s growing years. This is one of the most crucial tips we as a Parkland daycare can share with you. In a loving and encouraging way be responsive to your child’s emerging skills and interests as well as their emotions. Hug them, seek eye contact, talk with them about what they do and see, introduce them to new ideas, objects and games and support them in building healthy relationships with other children and adults. It is important to understand and nurture your child’s individual development. Recognize your child’s personal rhythms, style, strengths and limitations and use these as a tool when planning your child’s eating, sleeping and playing schedule. Any Parkland daycare worth their salt will tell you that it is essential to provide and area for your child that is clean and safe for kids to explore. A stimulating and child-friendly environment caters toward promoting learning through free play and is filled with interesting and stimulating things to discover. Furthermore a stimulating and child-friendly environment should accommodate the needs of growing children and be designed to have distinct eating and hygiene areas. The way in which their care giving adults treat children has a profound effect on a child’s development. This is why it becomes extremely important to find a caring environment for your kid at a preschool in Parkland such as Parkland Children’s Academy. Look for a Parkland daycare that will understand and nurture your child’s learning through the everyday moments they share. 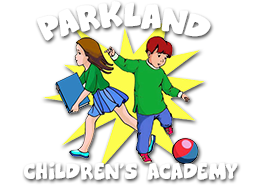 As a truly caring environment we at Parkland Children’s Academy only want the very best for you and your child. While we understand that there is a lot more work that goes into raising your children in the most successful way, these four pointers are a great place to start. 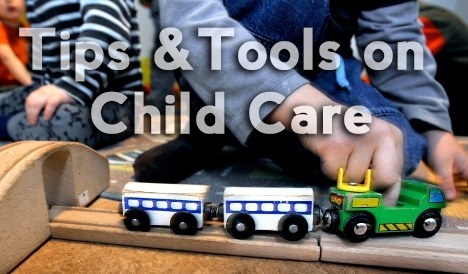 So there you have it – four easy tips and tools to follow in order to ensure that you will be providing the best childcare possible for your child.